Mission Hills, Haikou is an impressive golf facility on Hainan Island. It is rated 5-stars and considered a golf haven for all golfers. Following the success of the Shenzhen and Donnguan Mission Hills, the third project of the company is this magnificent golf resort, located in Haikou, Hainan Island of China. The large Haikou facility focuses on tourists’ recreational activities and conference facilities. Haikou golf resort contains over 500 elegant hotel suites, superb recreational activities for all ages, restaurants that offer delectable Chinese or International cuisines and relaxing spas. . These spas have earned its name as the “World’s Largest Mineral Spring resort” covering 168 hot and cold mineral spring pools. The 10 highly recommended golf courses were designed none other by Brian Curley from the American firm of Schmidt & Curley. The Schmidt & Curley group designed the courses to showcase the different eras as they are well known as experts in earth moving. This golf resort has also become the host of famous tournaments like the 2010 Mission Hills Star trophy, 2011 Omega Mission Hills World Cup and 2012 Mission Hills World Celebrity Pro-Am, just to name a few. Three of its famous courses are the following: Blackstone, Sandbelt Trails and Lava Fields. 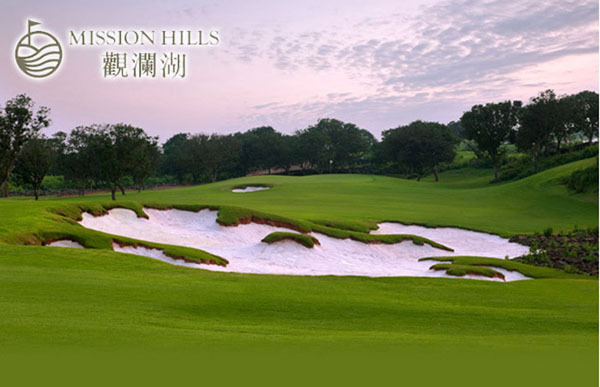 Blackstone course is the signature course and considered as the crown jewel of Mission Hills in Haikou. This is where the 2010 Star Trophy Tournament was held where the famous Japanese golfer Ryuji Imada won. Since the course is located in a bed of lava rock, the outcome of the design effortlessly creates a look of irregular lines of turf and rock that add thrilling excitement to the golf trail. This course has proven itself to be one of the premier courses in the world. Sandbelt Trails is the second course and it is patterned from the famous courses of the Australian Sandbelt Courses in Melbourne. The large greens are vastly covered by eucalyptus trees, contains wide playing fairways and encourages creativity with it’s high-flashed bunkers. Sandbelt Trails has made history by hosting the PGA Tour’s inaugural China Series tournament. The event was one of 12 conducted by the PGA Tour and China Golf Association in 2014. With this honor, it has helped to bring worldwide recognition to the golf industry in China. Lastly, the Lava Fields is a cut from the Blackstone course. With its dramatic holes, the course dominates as one that is like no other in the world. It’s great expanse over 7400 yards of expansive and wild bunkering make it eligible to host some of the most significant golf events. You will experience tree-lined, open parkland, unique terrains, wooded hills and of course black lava rock throughout. It is a top-rated course with one of the finest Championship layout in China. It has been ranked as one of the top 100 courses in China. Day 1: HAK Airport Pick Up. Transfer to Haikou Mission Hills Resort then rest time. Day 3: Check out at hotel. Play last round of golf at Mission Hills. After play, transfer to HAK Aiport for Departure. Supplementary cost will be applied for Blackstone and Lava Fields Course. Rates posted are good for weekday plays. This 5 star beach resort is the perfect destination for a vacation. Experience a stay and play destination in a one of a kind tropical paradise. This golf resort features 36 holes right on the West Philippine Sea with over 300 rooms to serve each guest. This idyllic getaway offers you a picturesque paradise that will give you a one of a kind experience. 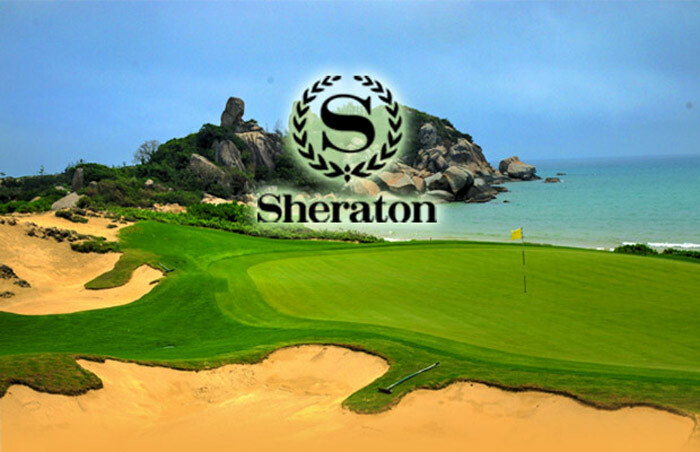 Sheraton Shenzhou offers you different recreational activities like fishing, adventurous water sports and of course, a unique golfing experience. The golf resort is most recognized for their Dunes golf course. This challenging course was designed by leading golf architect, Tom Weiskopf. It is Tom’s creation of some of the finest, world-class courses located in Asia, Mexico, Caribbean and South Africa that earned the award recognition as the “Golf Architect of the Year 1996”. The Dunes is internationally well known course composed of 36 holes with 5 additiona practice holes. It was inspired by Royal Melbourne and Pine Valley courses wherein classic design is very prominent. This unique design blends naturally to the surrounding and golfers are assured to be captivated with its beauty. Day 1: Transfer from SYX to The Dunes at Shenzhou Peninsula then Four Points Hotel. Day 3: Check out at hotel then last round of golf at Shenzhou Peninsula. Dreaming of golfing in spring-like weather with a mountain and lakeside view? This picture perfect experience is one that any golfer would appreciate. Great news, the opportunity is now here! 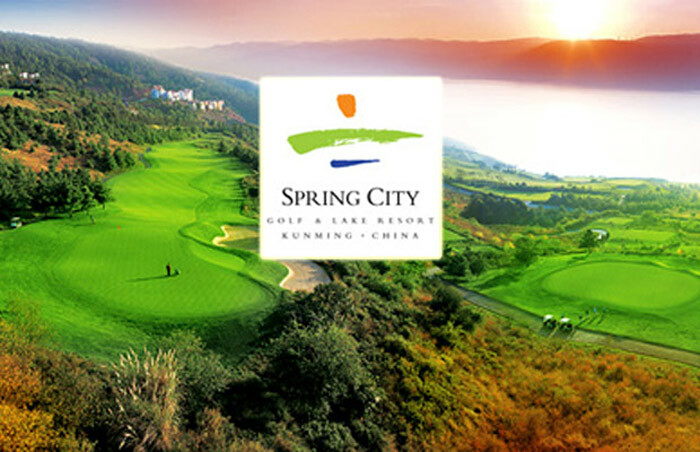 If you want to experience beauty with golf take timeout to visit the Spring City Golf & Lake Resort located in Kunming, China. This golf resort is the perfect place to enjoy your holiday and of course, play a round of amazing golf. 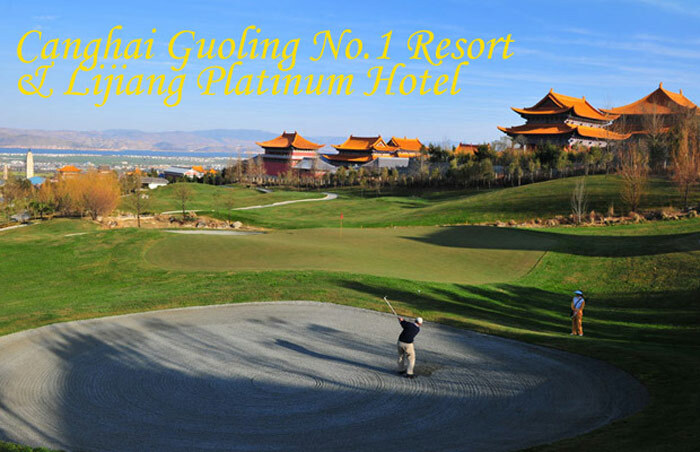 It is a premier golf resort in Kunming, which has also been named as one of the best golf courses in China. Experience their luxurious resort homes and villas plus relax in their magnificent clubhouse that offers various recreational activities. Spring City, boasts two championship courses both designed by legendary golf figures. The Lake Course designed by Robert Trent Jones II and The Mountain Course designed by Jack Nicklaus. With its year round cool climate, golfers will always able to enjoy the stunning view that this course has to offer. Day 1: Pick Up from KMG Airport Transfer to Spring City Resort. Golf at Lake Course. Additional surcharge if play date falls on a weekend/ holiday. Day 1: Pick Up from KMG Airport Transfer to Spring City Resort. Canghai Guoling No. 1 Resort and Lijang Platinum Hotel are both classified as 5 star hotels. These establishments offer comfort and convenience for every visitor, whether on a vacation or traveling for business. A well-deserved rest and relaxation awaits every golfer at Cabghai. Explore China while staying in luxury. Enjoy scenic views and have the chance to taste the delectable cuisine that China has, as well as the historical offerings available. Through this package, grab the opportunity to play at the Canghai Golf Club and Jade Dragon Snow Mountain Course. Canghai Golf Club is designed by Nick Fardeu, and is located between the sea and the mountain. Jade Dragon Snow Mountain Course is located right at the foot of the Valley Mountains. Experience to play golf at the second highest course in the world. Day 4 –Golf at Lijiang Ancient city course (18 hole) Then transfer to KMG Airport for DEP. 1 night accommodation in Canghai Guoling No.1 Resort Hotel with breakfast. 2 nights’ accommodation in Lijiang Platinum Hotel with breakfast. Hotel and golf clubs’ return transfer. For more event and registration details, kindly send an email to admin@golfph.com . We are very happy to assist you. See you there!